Neil Leitch is the chief executive of the Pre-school Learning Alliance, the largest voluntary sector childcare operator in the UK. As the largest early years membership organisation in England, the Alliance also represents 14,000 nurseries, pre-schools, and childminders, who in turn support more than 800,000 families. Prior to joining the Alliance, Neil held several senior posts within the commercial environment and moved into the area of financial underwriting in 1985. Until 2006, he chaired the Finance Industry Standards Association, an organisation committed to protecting the rights of borrowers and raising standards within the second mortgage market. Neil was recently elected a Fellow of the Royal Society for the encouragement of Arts, Manufactures and Commerce (RSA) for his work within the early years sector. ​Jools’ research on attachment based relationships between adults and children under three years in group day care provision has brought her national and international acclaim. Most notably it is her theory of ‘Professional Love’ which has gained worldwide traction, capturing the interest of contemporary scholars and practitioners alike. Jools maintains that it is from her humble beginnings working in practice based roles with young children and their families that she first gained her unique insight into the importance of fostering careful, respectful, reciprocal and genuine relationships between infants, toddlers and their key adults. Jools is committed to research that places the rights of infants and toddlers at the centre and it is this view of children which inspired her academic research into the complex notion of attachment, intimacy, care and love in the earliest years of life. Jools has written about Professional Love in academic peer reviewed papers, for example: Page, J. (2011). Do mothers want professional carers to love their babies? Journal of Early Childhood Research, Page, J. (2013a). Will the ‘good’ [working] mother please stand up? : Professional and maternal concerns about education, care and love. Gender & Education Journal, Page, J. (2013b). Childcare Choices and Voices: using interpreted narratives and thematic meaning-making to analyse mothers’ life histories. International Journal of Qualitative Studies in Education, as well as book chapters, see for example: Page, J. (2014). Developing "professional love" in early childhood settings, In L Harrison and J Sumsion (Eds) (2014). Lived Spaces of InfantToddler Education and Care - Exploring Diverse Perspectives on Theory, Research, Practice and Policy. International Perspectives on Early Childhood Education and Development Series. Springer and Page, J. (2016) Educators’ perspectives on attachment and professional love in early years settings in England. In E. J White and C. Dalli (Eds). Under three-year-olds in policy and practice. Policy and pedagogy with under-three-year-olds: Cross-disciplinary insights and innovations for educational research with very young children Series. Springer. Jools also disseminates her research to the early childhood community through popular practitioner journals, for example: Page, J. (2015). Love, Love, Love. Nursery World Special Edition Let’s begin: The care and education of children from birth to three years, Nursery World 29th June – 12 July. Due to her vast knowledge and understanding of young children, Jools’ expertise is much sought after in the UK and overseas. She is a visiting scholar at the University of Huddersfield where her work on Professional Love has inspired colleagues to engage with her ideas and to interrogate the boundaries of love and professionalism within the context of childhood studies and youth. This collaboration led to a joint presentation given at the innovation session of the 2017 British Educational Research Conference. Jools is regularly invited to give keynote talks, seminars and workshop sessions on attachment and love and she is guest editing a special issue on the theme of Love, Care and Intimacy in Early Childhood Education and Care for the International Journal of Early Years Education published by Taylor and Francis. Following on from her academic success at The University of Sheffield, in 2017 Jools joined the School of Education at the University of Brighton as a Senior Lecturer. She is currently conducting a project with colleagues in Sydney, Australia, researching the presence or absence of Professional Love between caregivers and babies from the infant toddler perspective. • Plan and deliver age appropriate movement activities. This session will require physical participation. ***WARNING*** Be prepared to have fun! We often read in inspection reports, quality assurance etc. sentences that reads something like, " a wonderful environment for the children, very stimulating and engaging" or, "the environment is excellent and constantly changing, keeping the children forever stimulated". But is this a good thing ? For all children ? During this workshop we explore "the environment for ALL children" paying particular attention to children who may not be so quick to embrace change due to a particular need or because of their stage of development. We will also look at the needs of the children with sensory processing disorder and how the environment can impact both positively and negatively. 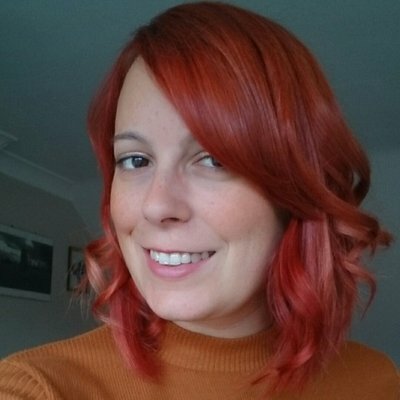 ​Beth has worked in a variety of early years settings over the past fifteen years; an out of school play club, as a teaching assistant in a Reception classroom, as a childminder, as a lead practitioner in a busy day nursery and as a practitioner in a pack away preschool. She also writes regularly for practitioner magazines. Beth studied her BA (hons) Early Years with The Open University for six years before embarking on Early Years Initial Teacher Training at the University of Brighton. She continues to study and is currently working toward a PhD in Childhood Studies at the University of Portsmouth. Young children’s experiences of transitions: how can we support them effectively? This workshop will be a combination of theory and ideas for practical application, examining the impact of transitions in general on young children, and using Beth's research into moving house as a particular focus. The research conducted to date has identified which issues might be pertinent to children moving house, and how adults can provide the best possible support for them to help enable a smooth transition. Chris Williams developed Chatta in his hometown of Hull, Yorkshire in partnership with colleague David Andrews and the Hull Early Years Team. Chris is an award winning teacher, magazine columnist and international speaker who continues to teach and combines specialisms in Special Education, Literacy, Memory development, Language development and classroom technology. Chris has presented his “Chatta” approach at conferences across the UK including The Westminster Education Forum and events hosted by The National Association of Headteachers, The National Literacy Trust and Children in Scotland. Chris has also presented his work on several occasions in The USA and the Far East. Nicky is the author of ‘The Adventures of Brian’, a therapeutic book collection to support 2-5 and 5-9 year olds to resolve their thoughts, worries and fears through stories containing therapeutic language. Alongside her therapy dog ‘Brian’ they support nurseries and schools to support children to resolve any emotional unrest through therapy sessions, books and activities which combine fun stories about Brian and embedded language and layered story techniques. A qualified EYP and Lecturer Nicky continues to teach 16-19 year olds entering childcare, health and public services roles alongside her full-time practice as a therapist working with children and young people using a range of therapeutic techniques. In a world where children are experiencing a range of new traumas and difficulties how do we best support their emotional and mental well-being? In this workshop delegates will learn how children’s minds process difficult situations and why these events affect their emotional well-being. Looking at the difference between processing systems for age groups we will explore the subconscious and conscious mind and identify why it is important to provide age appropriate support and resources to children in the early years and the longer-term impact on behaviours and well-being. We will explore how to appropriately support children’s mindsets in the early years setting through language, resources and environment. - To understand how triggering events affect a child’s subconscious mind. - To understand the impact of brain plasticity on children’s emotional development and the importance of providing age appropriate resources.